There are many oval chainrings. But oval chainrings with the OCP system are only available from ROTOR. Why? The OCP system from ROTOR allows you to place the chainring and its ovalization where you need it. In addition, with the MAS system for chainrings with direct mount, you can modify the position of the chainring in intervals as small as 1 degree. Only ROTOR can offer you this advanced technology. We explain why ROTOR’s OCP system in its Q rings sets the bar. We all like oval chainrings. It does not matter if you are one of those who try to get the most out of technology, or if you are someone who does not want to change anything once it is installed. The oval chain rings Q rings from ROTOR allow you through its OCP technology, to have between 3 and 5 different positions so you can place the most oval point of the chainring in the right place depending on your way of pedaling, your cadence and your maximum power point. But here at ROTOR we do not want you to be short of options, through ROTOR chainrings with direct mount and MAS technology, you can rotate the oval rings in ranges of up to 1 degree only, so you can find the perfect position. With OCP technology, everything is an advantage. The theory of OCP Q rings is very simple. With the models with 5 anchor points (5 in the road models and 3 in the mountain models), at ROTOR we recommend starting by placing the rings in the intermediate position number 3. As an initial position, you will be able to check if the maximum zone ovalization and the zone where you apply less force during the pedal cycle coincide with your way of pedaling and with your maximum power output point. This way, you will still have 2 positions with greater ovalization and two positions with less ovalization depending on if you want, and you can make more power or you prefer that the maximum point is something softer. It is as simple as just turning the chainring until you find the perfect spot. When we refer to greater ovalization or less ovalization, it does not mean that the chainring changes form. Greater ovalization means that at the point of the pedal rotation where more power can be applied to the pedals, the chainring will be located in its greater diameter (greater virtual number of teeth) and on the contrary, a smaller ovalization means that at the maximum point of power, the chainring is in a less oval position, suitable to the power that we are able to exert. An oval chainring is less versatile without the option of adjusting its position, because it has an ovalization (and with it a greater number of virtual teeth) too big for our ability to move the pedals. This with OCP models with 3 and 5 anchoring positions. What does the MAS (Micro.Adjust.Spider) technology mean then? The chainrings available with MAS technology and compatible with the ROTOR cranks by direct fit chainrings and external spider, will allow you to adjust the rings and their oval position on the cranks in ranges as small as one degree of adjustment. In this way the OCP technology opens up possibilities of adjustment to a point never before seen in oval dish systems. Why does the OCP system make so much sense? With an oval chainring without adjustment capability, once fitted to the cranks, its position cannot be modified. It cannot be rotated, so you must pedal with the ovalization that comes as standard, something that maybe inline with your preferences, or not. With chainrings that use OCP technology, you can decide if you want more ovalization in the position of maximum pedaling power or less. This way you can find the exact point of power management in each pedal stroke. The possibility of positioning the chainrings in an appropriate way is fundamental. Imagine that you buy an oval chainring that has too large an ovalization and you do not have enough power to pedal, or on the contrary, that it has a very small ovalization and that you do not take advantage of your maximum power point in your pedal stroke. What can also happen is that the neutral pedaling zone is too large and you lose power during the pedal stroke. Power, that due to being in less efficient part of the cycle, does not translate into al pedal stroke which can move you forward with greater effect. For this reason, at ROTOR we work and study the ovalization of each chainring in detail, so that depending on the number of teeth, the specialty and the range of combination of rings, you will be able to find which chainring is most suitable to your preferences. Ovalizing a chainring is simple, but doing it with sufficient technology and research to make it work perfectly is something much more complex. 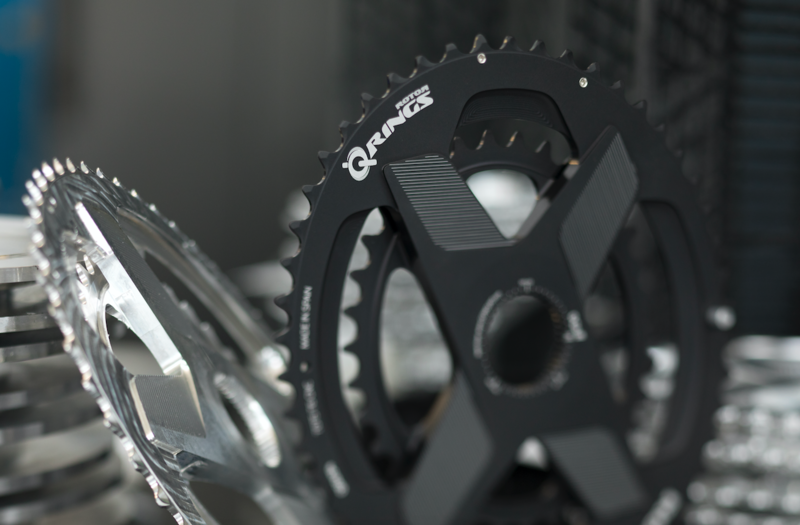 Another of the most interesting points of the ROTOR Q rings and OCP technology, is the possibility to know at what exact point you should place the chainring, if your cranks and bottom bracket have the built in INpower power meter and 2INpower. 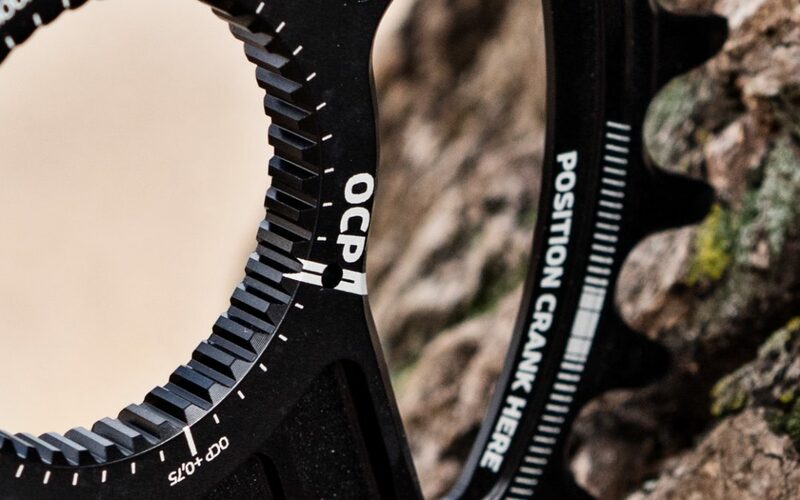 The OCA (Optimum Chainring Angle) technology determines the right angle to place the Q rings in degrees from the top of the pedaling dead centre, placing the cranks perpendicular to the ground. Through the Torque 360 chart, which shows you the complete pedal cycle and the power that you apply in each part of it, you can configure the exact position of the Q rings so that you can take full advantage of your pedaling. This system can be of great help, because if you do not know exactly where you should position your OCP chairings, the Torque 360 chart will help you to define the position based on your pedaling cycle and your maximum power output.